One-stop early voting for North Carolina’s May 8 primary election is a little over a month away, but litigation over the structure of the agency overseeing all things voting remains very much unresolved. Gov. Roy Cooper filed a third lawsuit Tuesday over the structure of the State Board of Elections and Ethics Enforcement in response to GOP lawmakers’ third attempt to change his appointment power with regard to the agency. There have already been several hearings over the key challenges in the lawsuits in several courts, including the state Court of Appeals and Supreme Court, and there have been several orders released by those courts – some in favor of Cooper and some in favor of legislators. Cooper contends, however, that the statute creating the Board and the most recent legislative measure to tweak it – House Bill 90, which becomes law after midnight tonight – remains unconstitutional for several reasons, including his lack of majority appointment power to the board, the “legislative appointment” of the board’s executive director and political party control over the chair of the board and chairs of the county boards. An important footnote to this is that the board has remained vacant for some time now, with Cooper refusing to make appointments until the courts settled the matter. That will change this week – Cooper’s office announced that he would make board appointments when House Bill 90 becomes law even as he continues to pursue litigation. Both political parties have already submitted their lists of nominees for appointment to the board. The governor’s office has accused lawmakers of trying to rig the Board of Elections and limit the people’s right to vote, and lawmakers have accused Cooper of being a power-hungry politician who would rather sue than govern. Both sides have accused each other of political theatrics. It’s important to understand what the board is and the nature of its duties and functions in order to fully grasp what’s at dispute in the courts. 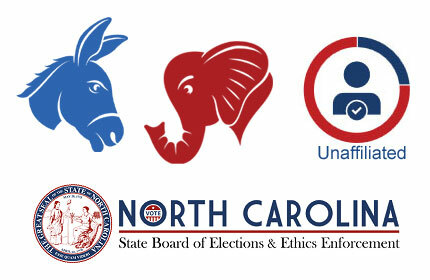 The State Board of Elections and Ethics Enforcement oversees elections administration in North Carolina, as well as the 100 county boards of elections, and ensures compliance with campaign finance, lobbying and ethics requirements, according to spokesman Pat Gannon. Lawmakers combined the compliance activities formerly enforced by the State Board of Elections, State Ethics Commission and the Lobbying Division of the Secretary of State’s Office. There are 100 county election boards. Before Cooper took office, each of those boards had three members, with no more than two from one political party. The new law requires four-member boards that are equally divided between the two major political parties. The state board is supposed to appoint each four-member board, but since it has been vacant, most county boards currently only have three-members. Those boards can still act, and have been working together unanimously for the past year, according to Gannon. However, there are 25 county boards that currently only have two members, which means they do not meet quorum requirements to vote. They are in: Bertie, Bladen, Burke, Carteret, Caldwell, Chowan, Craven, Cumberland, Davidson, Edgecombe, Gates, Guilford, Halifax, Hyde, Jackson, Jones, Lincoln, Montgomery, Onslow, Perquimans, Pitt, Swain, Transylvania, Vance and Wake counties. Gannon said there have been a number of candidate challenges that those boards and the vacant state board have not been able to hear or vote on since the start of litigation. “We expect that one of the new state board’s first priorities will be appointing county board members so that all boards can conduct business as soon as possible,” he added. Mail-in absentee voting begins Monday, March 19 for the May 8 primary. Separation of powers has been a cornerstone argument for Cooper in each of the three lawsuits regarding the board overhaul. Before Cooper bested former GOP Gov. Pat McCrory in the 2016 election, the executive branch enjoyed significant control over the Board of Elections. There were five members that the governor appointed to four-year terms with no more than three being from the same political party. He or she could also appoint the executive director of the agency to a four-year term. The new structure features a nine-member board that serves two-year terms – four Republicans, four Democrats and one member unaffiliated with either of those political parties. The governor appoints the eight members based on a list of six nominees chosen by the state chairs of the Democratic and Republican parties. The governor then appoints the one unaffiliated member from a list of two nominees chosen by the eight-member board. “Under the new law, because the Governor does not control a majority of the appointments to the new state Board or the county boards of election, and because a majority is required to change the default, limited early voting set forth in the statute, the Governor cannot ensure that his views and priorities with respect to early voting and voting sites will be implemented,” the suit states. Cooper also argues that the legislature unconstitutionally appointed Executive Director Kim Westbrook Strach (who also reigned under the McCrory administration) to serve until May 2019. At that time, the board will appoint a new executive director to a two-year term rather than a four-year term. In creating the new merged board, lawmakers also neutered the governor’s power to appoint the chair and the chairs of the county boards. Instead, they mandated that a Republican member be appointed chair of all boards during presidential election years while relegating Democrats to chair during off-year elections. Chairs have the power to call meetings, as do a majority of board members. They also have the power to sign and issue subpoenas, summon witnesses, and compel the production of papers, books, records, and other evidence, but the vice chair also has that power if the chair declines. These new mandates “represent a substantial diminution of and encroachment on the authority of the Governor,” according to Cooper’s new lawsuit. The same three-judge panel who worked on the prior two lawsuits was re-appointed to preside over the new litigation in Wake County Superior Court. They are Judges Jesse Caldwell III, a Democrat who presides in Gaston County; Todd Burke, a Democrat who presides in Forsyth County; and Jeffery Foster, a Republican who presides in Pitt County. Gerry Cohen, former special counsel to the General Assembly, has been following litigation closely. With the exception of redistricting and the education case known as Leandro, he said he hasn’t seen so many lawsuits filed over one bill. The Supreme Court found that the governor must have “enough control” over the board to perform his or her constitutional duty. But it also found that the legislature has the power to decide what agencies exercise what powers, how many board members there are and how long their terms are set and if there are any qualifications to serve. “There isn’t a problem with four members being from one party and four from the other party – it’s how the Governor can choose them,” Cohen said. There could be potential under the new board structure in HB 90 for the eight members to deadlock making a decision about the ninth member, he said. In that instance, the structure reverts back to one that the Supreme Court struck down. Gannon said the board, once appointed, will choose the ninth member nominees at its first meeting. “The new state board members will have an opportunity to demonstrate bipartisanship from the very first meeting,” he added. “Courts usually try to solve a problem by interpreting a statute instead of finding a constitutional violation,” he said. He said that he was shown an early version of HB 90 that would have created the new state board, which was still an eight-member structure, but that allowed the governor to make one appointment from each party on his own rather than from a list from the state party chairs. “That was out there for 10 hours or so,” he said. Cooper is denied enough control when he is bound completely by the party list of nominees, Cohen said. Rep. David Lewis (R-Harnett) did not respond to an email asking about the prior board language and whether lawmakers would consider such a compromise. Similarly, the governor’s office also did not return an email asking about the provision and whether Cooper would consider the compromise. 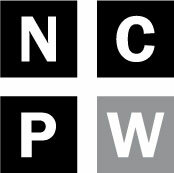 Policy Watch has filed public records requests with the governor’s office, the General Assembly and the attorney general’s office with respect to the total cost of litigation over the Board of Elections and Ethics Enforcement since December, 2016. “I believe our people will work hard to create consensus on issues,”he added.